WHAT IS THE CHARLOTTE TRANSPORTATION PLAN? The Charlotte Transportation Plan (CTP) is the Long Range Transportation Plan for Charlotte County through 2040. It is a 25-year vision of how to meet our community’s transportation needs and expectations. The plan will incorporate all types of travel including driving, biking, walking, public transportation, and freight movement. 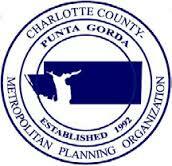 The Charlotte County-Punta Gorda Metropolitan Planning Organization (MPO) updates the Plan every five years to ensure that it evolves with changes in the social, demographic, and economic characteristics of our community. The Charlotte Transportation Plan also accounts for changes in population and employment growth trends. WHY DO WE NEED AN LRTP? Safe, efficient, and reliable travel options are important building blocks for creating a thriving community with a strong economy that is also a desirable place to live, work, and play. The CTP will identify future transportation needs and prioritize projects that meet those needs in a cost effective way. The CTP is also required to be eligible for important federal and state funding for these transportation projects. HOW DO WE KNOW WHAT PROJECTS ARE BEST FOR CHARLOTTE COUNTY? Where are people traveling to and from in the county? What transportation improvements are needed? How will growth impact transportation in the county? Where do we expect congestion in the future? How can we identify the most effective transportation projects? Please visit www.ccmpo.com to learn more and get involved.